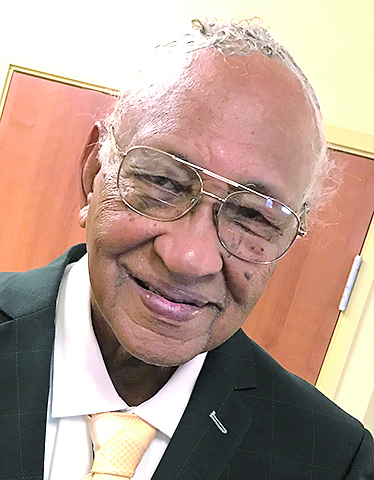 A Mass of Christian Burial for Willard Jones Sr., 94, will be Saturday, April 28 at St. Anthony of Padua Catholic Church, 911 Fifth St., at noon. The family will receive visitors at Winnfield Memorial Funeral Home Friday, April 27 from 6:30-8:30 p.m.
Visitation will continue Saturday at 9:30 a.m. at the church followed by the Holy Rosary at 11:30 a. m. Interment will be at the Lawrence Serenity Sanctum. Mr. Jones was born in Bermuda, La., April 28, 1923, to the late Harry and Geraldine Jones. He worked for Southern Cotton Oil for 35 years, from 1945-80. He was the first African-American superintendent in the plant’s history. He was also a Natchitoches Treasure, member of the Natchitoches Housing Authority, and was instrumental in building the MLK Community Center. Mr. Jones will be remembered to all who knew him as a strong loving son, father, grandfather, uncle, brother, friend, and community leader.